My Cloud Home supports Windows, macOS and 3rd party backup software using the local public network shares. 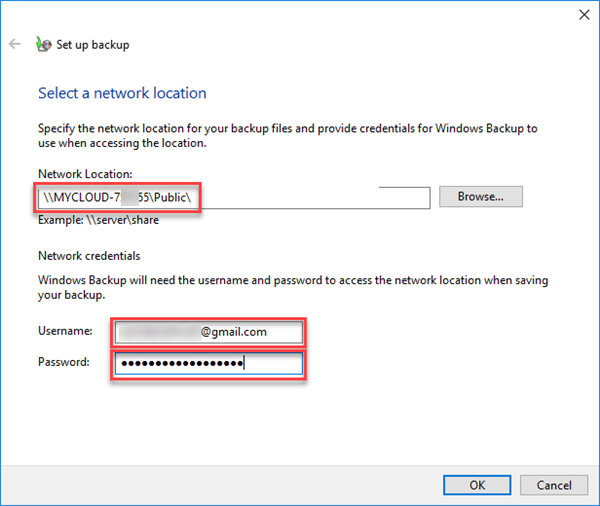 Use the table listed below to ensure the appropriate backup is contained in the recommended network share. 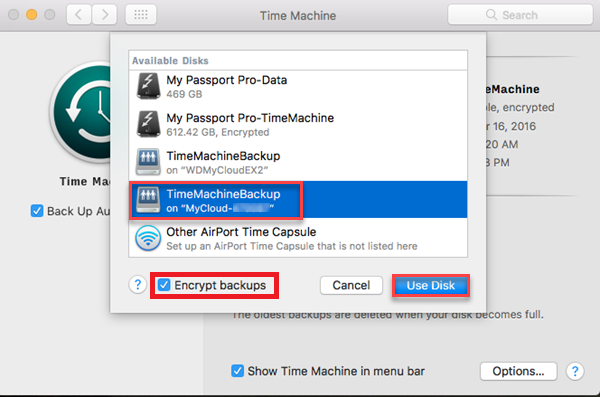 Time Machine and Windows Backup to the remote access desktop mounted user share is not supported. 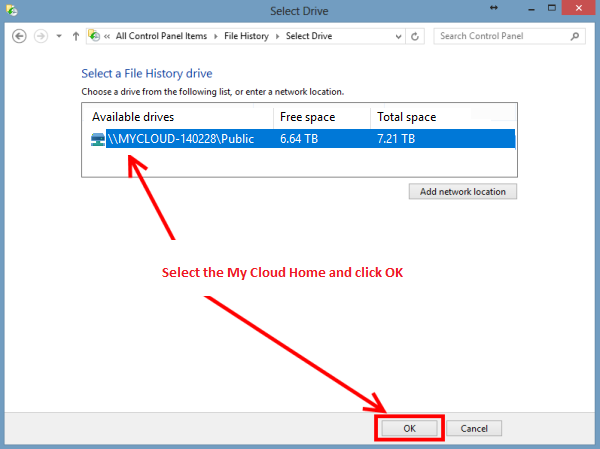 If the Windows computer Network Browse does not display network drives, type the path to your My Cloud Home in the "Network Bar" to view and access the Public Share for selection. 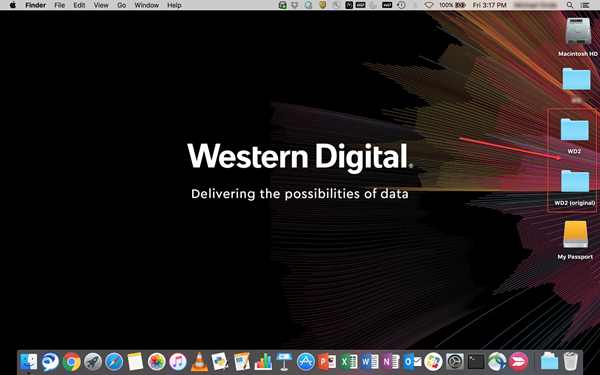 Western Digital is committed to providing our customers the best possible service and support. Windows Backup is a Microsoft product and the best place to get support for using Windows Backup is with Microsoft. In the event that Microsoft is unable to resolve your issue or determines that the issue is caused by a problem with the drive, WD can assist with replacing the drive and diagnosing issues with the device. 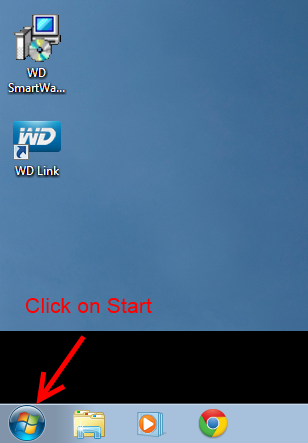 Move the mouse to the bottom left corner of the desktop to make the Start icon to appear. Then, right click on the mouse. 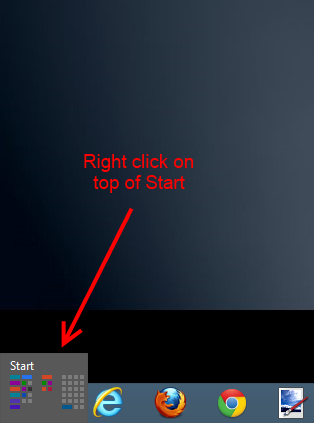 Right-clicking on top of Start will display a list of options. From the list open Control Panel. 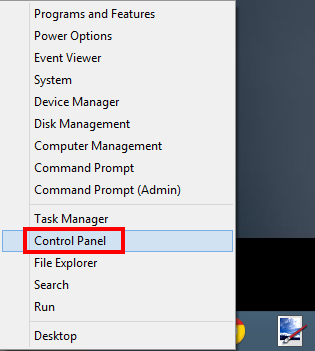 On the Control Panel window, click on File History. 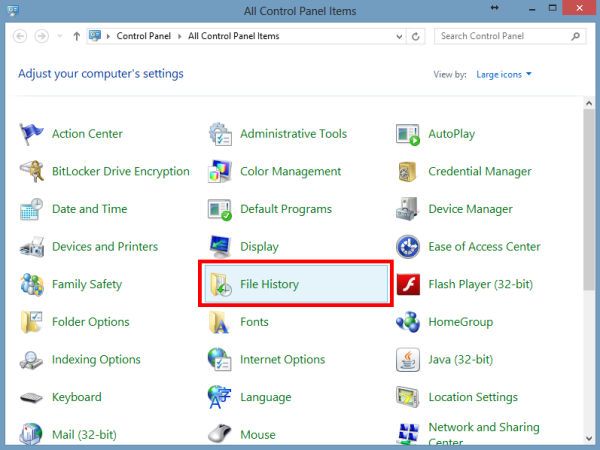 On the File History window, click on Select Drive, located on the left-side panel. The available drives will be listed. Click on Add network location to search for network drives to add to the list. 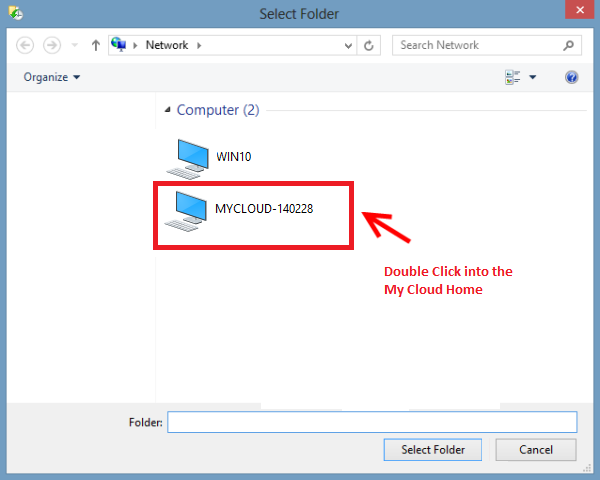 If the Network Browse does not display network drive, type the path to your My Cloud Home in the "Network Bar" to view and access the Public Share for selection. The available shares within the network drive will be listed. 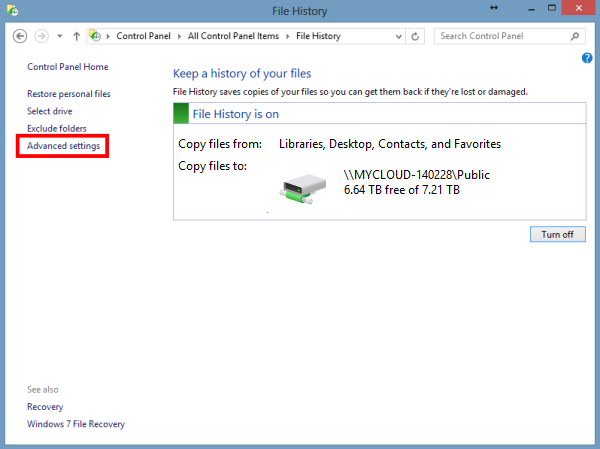 Select the Public share to hold the File History backup and click Select Folder. The selected share will be listed as an available drive. 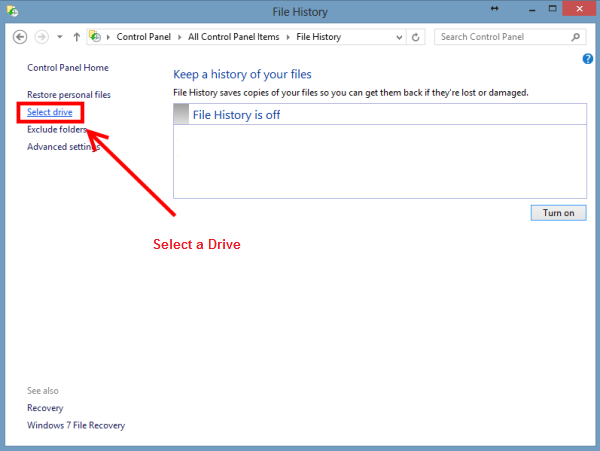 Select it and click on Ok.
Once selected, File History will start saving copies of the files into the designated drive. 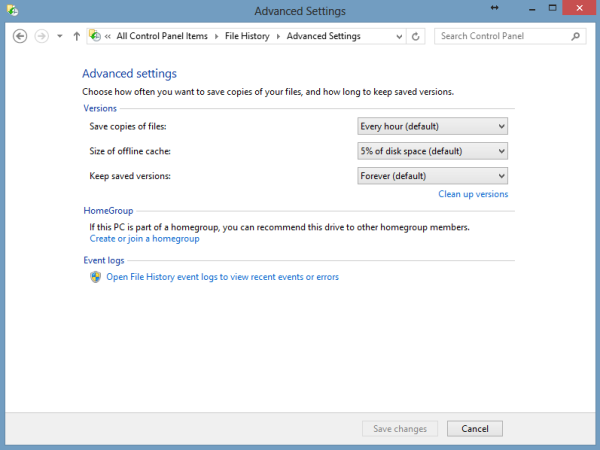 For more options on how File History behaves, click on Advanced Settings on the left-side panel. 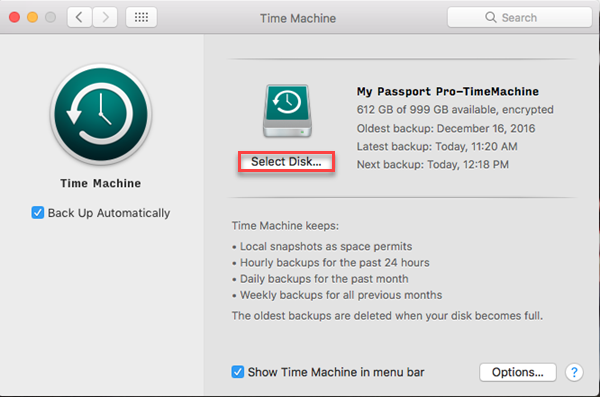 Under Advanced Settings, different options can be altered, such as how often the backup occurs and how long the files are stored for. Leave the backup running until it finishes. 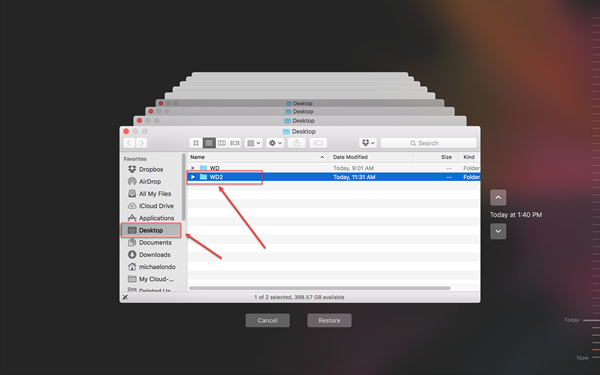 The File History panel will display the time when the last backup was made. 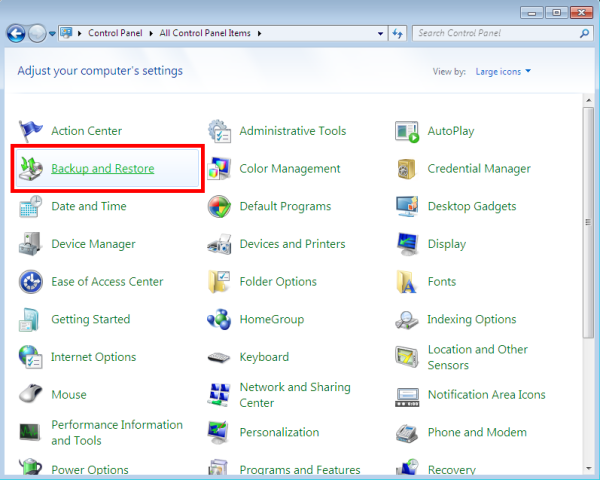 Backup to a network share is supported on the following Windows 7 versions. 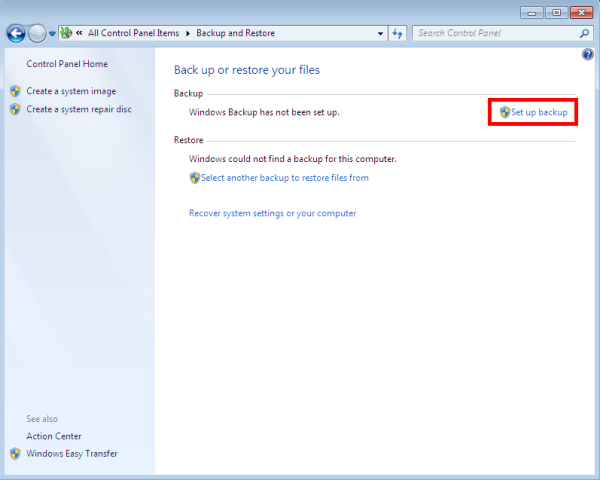 Backup and Restore is a component of Microsoft Windows that allow users to create backups and restore from backups created earlier. 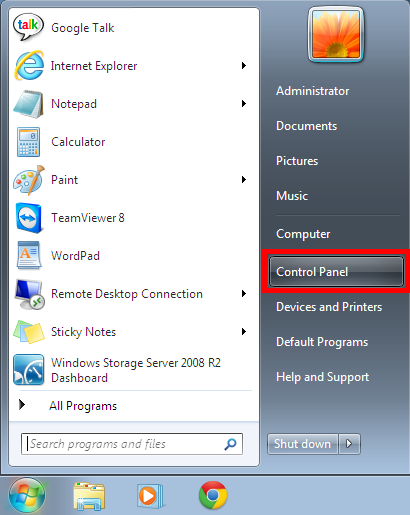 In Control Panel, click on Back up your computer under the System and Security area. Alternatively the option will be Backup and Restore, depending on the layout on Control Panel. 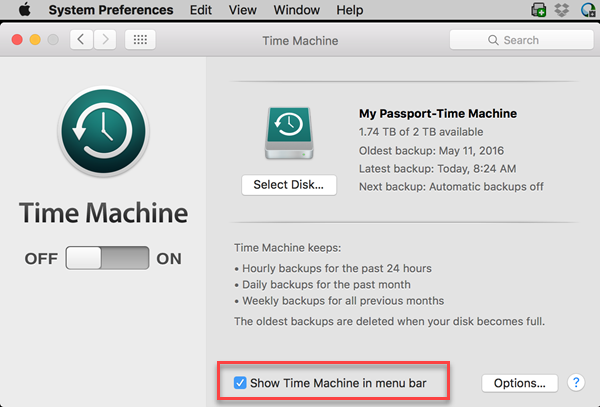 Once in the Backup and Restore area, click on Set up backup on the top-right of the screen. 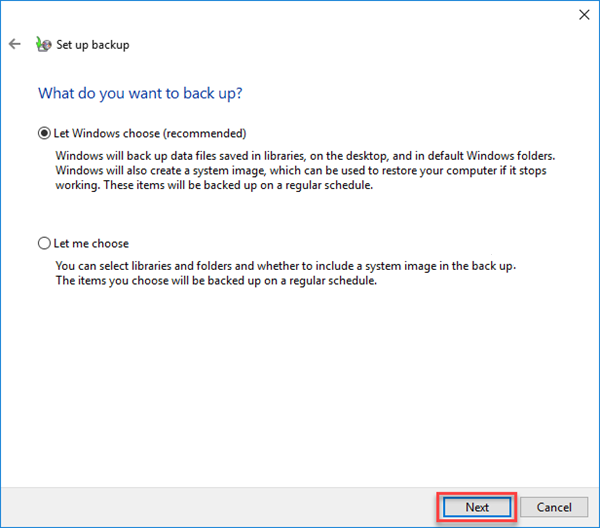 The Starting Windows Backup pop-up will appear. Wait for the Windows Backup wizard to start. This may take a few seconds. 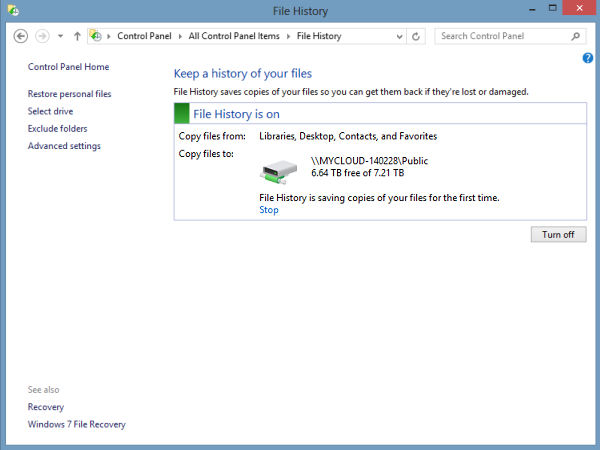 A list of Backup Destinations will appear, displaying the local drives. 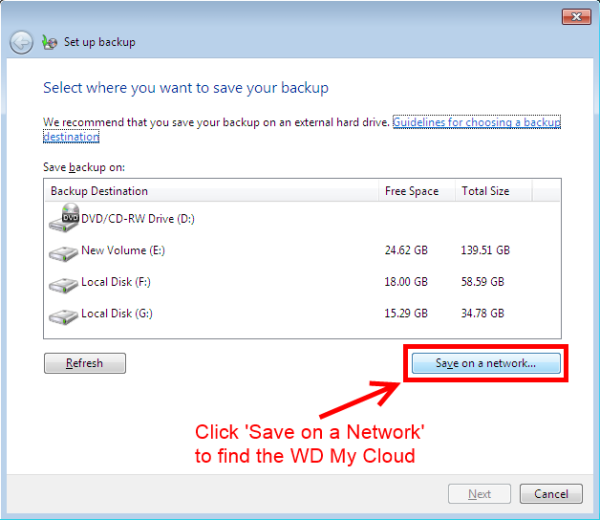 Click on Save on a network... option to look for the WD Network Drive. Click on Browse to look for an available share. 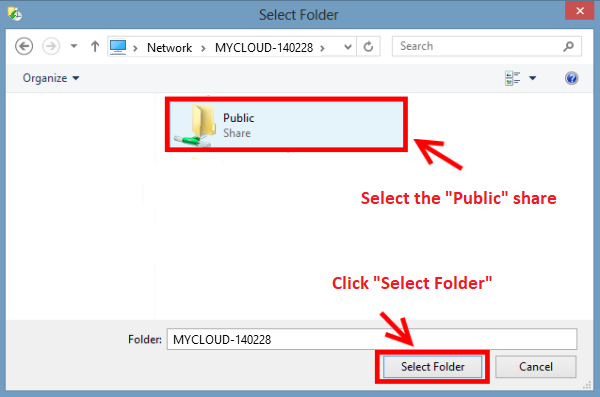 On the Browse for Folders window, expand the MYCLOUD-XXXXXX to display the available shares. 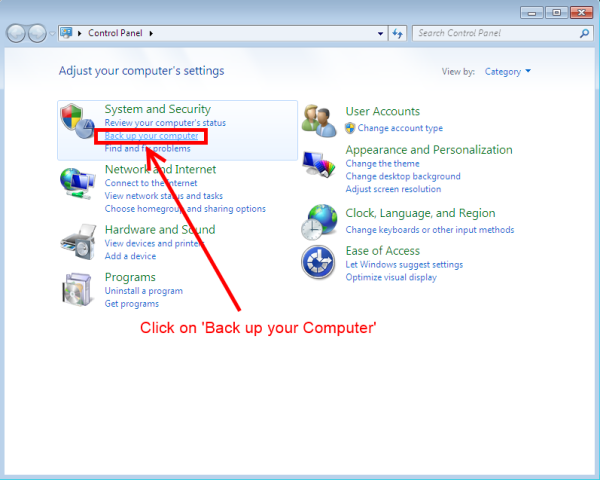 Select the desired share and click on Ok.
Once the destination share is selected, input the necessary credentials (username and password) to provide Windows with the necessary access to the network share. 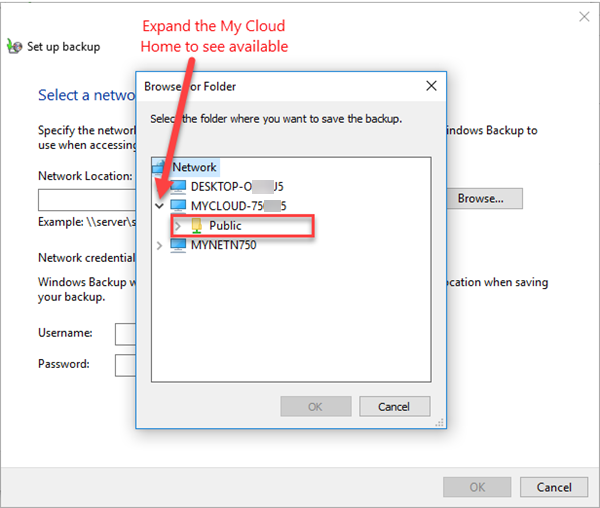 Once done, click on Ok.
Now, the My Cloud should have the selected share available in the Backup Destination window. Select that share and click on Next. 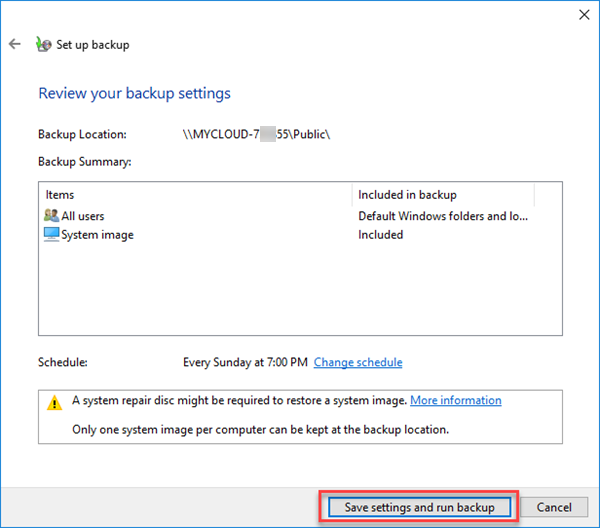 Next, Windows will allow for a user to either select the contents that are to be backed up, or provide an option for Windows to select the backup's content. Select the desired method and click on Next. 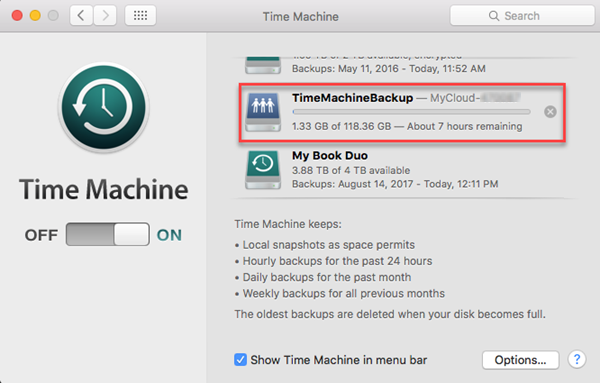 Review the items that are to be backed up, and when satisfied with the backup's content, click on Save settings and run backup. 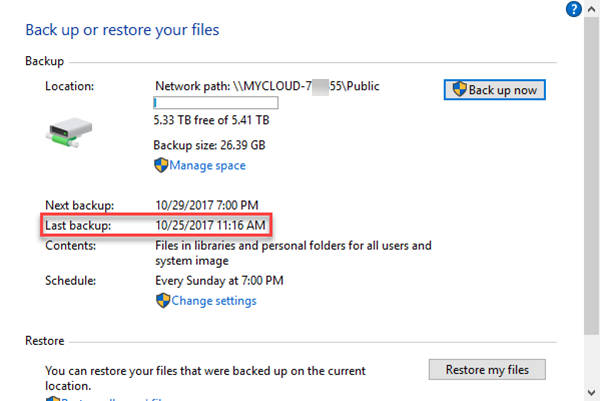 Initially the backup will be performed on a weekly basis. 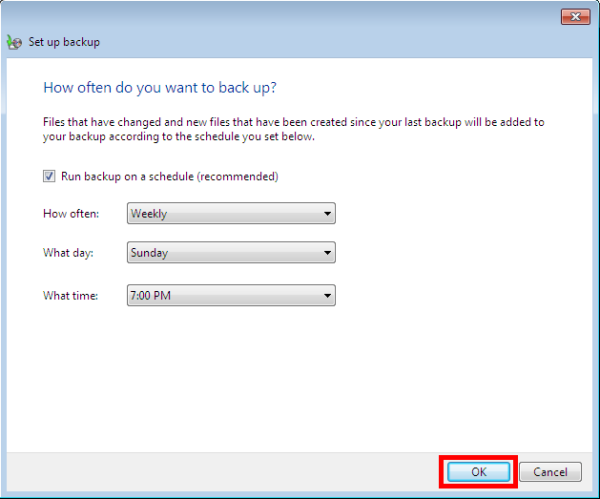 Click on Change Schedule to see more options on when the backup is to be performed. 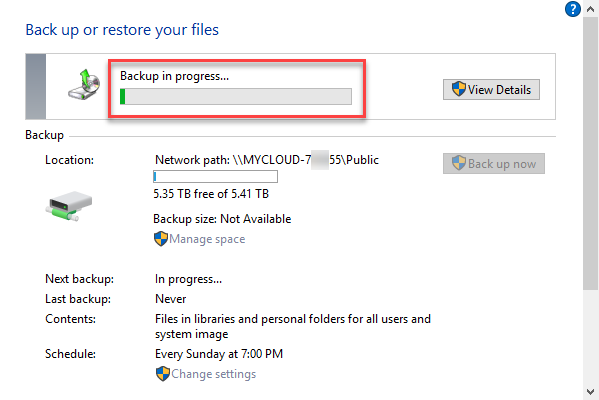 The backup will immediately start and a backup progress bar will display for the duration of the operation. This process may take several hours to complete. Once completed, the backup area will display the both the last time the backup was made, as well as the next backup's date. 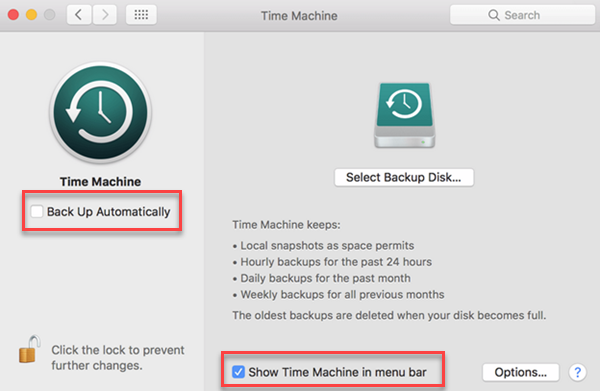 Time Machine is a built-in utility within macOS that is used to backup files onto an external or network drive. Local Shares cannot be accessed using the web, mobile or desktop app. 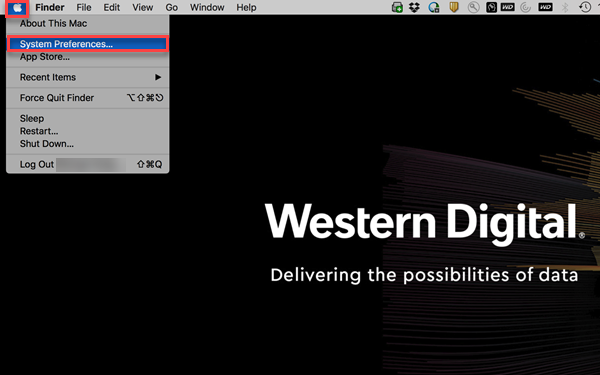 Western Digital is committed to providing our customers the best possible service and support. 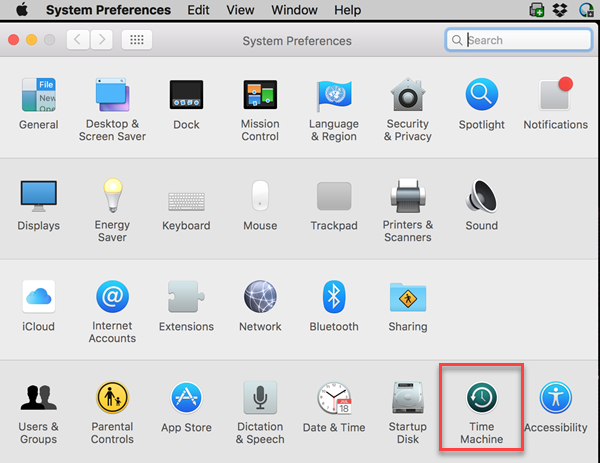 Time Machine is an Apple product and the best place to get support for using Time Machine is with Apple. 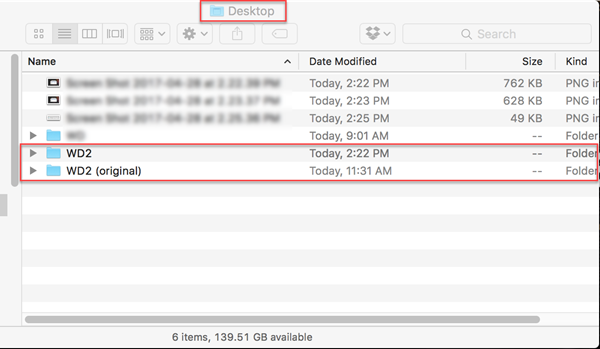 In the event that Apple is unable to resolve your issue or determines that the issue is caused by a problem with the drive WD can assist with replacing the drive and diagnosing issues with the device. Western Digital does not provide installation, configuration, troubleshooting or technical support for 3rd party, partner, or vendor products. WD Community Forum members suggested or recommended backup software. 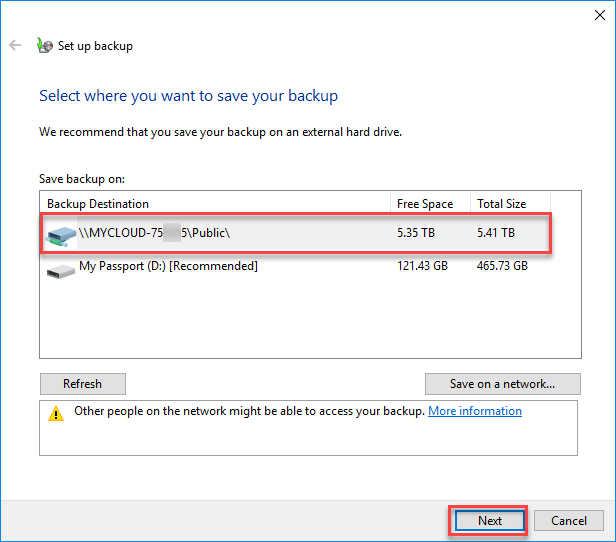 Knowledge Base articles related to network attached storage backup issues. 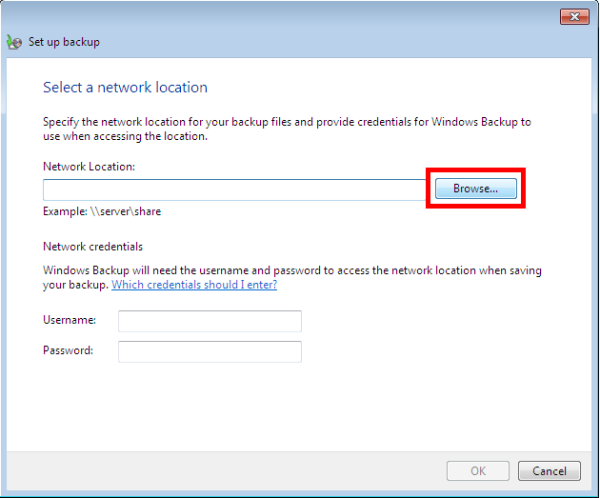 Windows 20136 Windows Backup Configuration Message "The Specified Network Location Cannot Be Used"